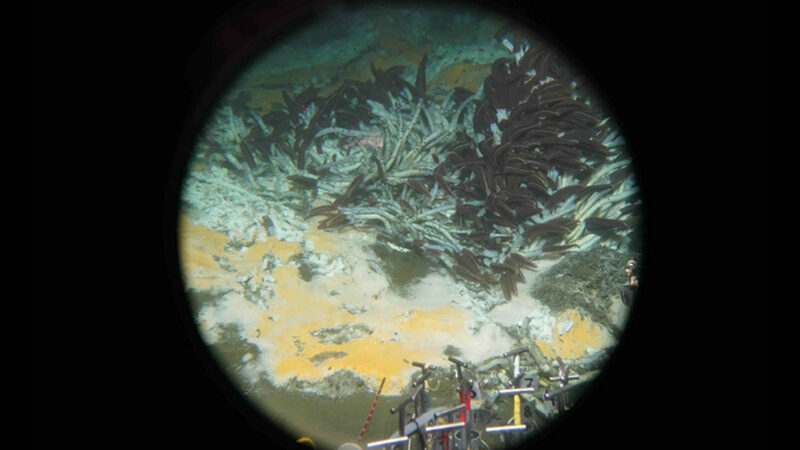 Scientists have discovered new types of deep-sea microbes which gobble up greenhouse gases as energy sources. These nearly two dozen types of microbes might be helping to limit concentrations of greenhouse gases in our atmosphere. Researchers at the University of Texas at Austin’s Marine Science Institute and the University of North Carolina at Chapel Hill believe that we might be able to use these microbes for cleaning up oil spills. Greenhouse gases are atmospheric gases that absorb and emit radiation within the thermal infrared range. In other words, these gases help keep our planet’s surface warm. Carbon dioxide, water vapor, methane, and ozone are greenhouse gases. CFCs (Chlorofluorocarbons) and nitrous oxide (laughing gas) are also greenhouse gases. The researchers wrote about their study and discovery in the prestigious journal Nature Communications (citation below). The authors were Nina Dombrowski, Andreas P. Teske, and Brett J. Baker. They documented extensive diversity in the microbial communities that live in the deep-sea sediments in the Guaymas Basin. The Guaymas Basin is a submarine depression which is located on the seabed in the central area of the Gulf of California. The deep-sea sediments are extremely hot. 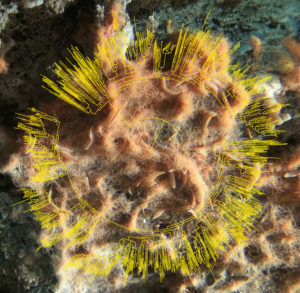 The scientists discovered new species of microbes that are genetically different from those that had been studied previously. They are so different that they represent “new branches in the tree of life,” the authors wrote. Many of these newly-discovered microbes are consumers of pollutants. Other microbes that researchers have identified in the soil and ocean possess similar pollutant-eating powers. Baker, an Assistant Professor of Marine Science at the Marine Science Institute, was the paper’s primary investigator. The authors say that their study represents the largest-ever genomic sampling of Guaymas Basin sediments. The research team analyzed the sediment that was 2,000 meters below the surface of the sea. Volcanic activity raises the temperatures in the area to approximately 200°C (392°F). They recovered 551 genomes. Twenty-two of them represented new entries in the tree of life. It is only possible to culture about 0.1% of the world’s microbes. This means that there are thousands and perhaps even millions of microbes that we have not discovered yet. The scientists investigate interactions between microbial communities and the nutrients that exist in their environments. They do this by taking samples of the sediment and microbes in nature, and then extract DNA from the samples. They sequence the DNA to piece together individual genomes. The genome is the complete set of genes or genetic material that are present in a cell or organism. From the genomes of microbes, the scientists can determine what nutrients they consume. Dombrowski, a former UT Postdoctoral Researcher, is now at the Royal Netherlands Institute for Sea Research. The Alvin submersible, which found the Titanic, was used to collect the samples. Andreas P. Teske has been collecting samples at Guaymas Basin for several years. Teske is a Professor at the University of North Carolina at Chapel Hill’s Department of Marine Sciences. 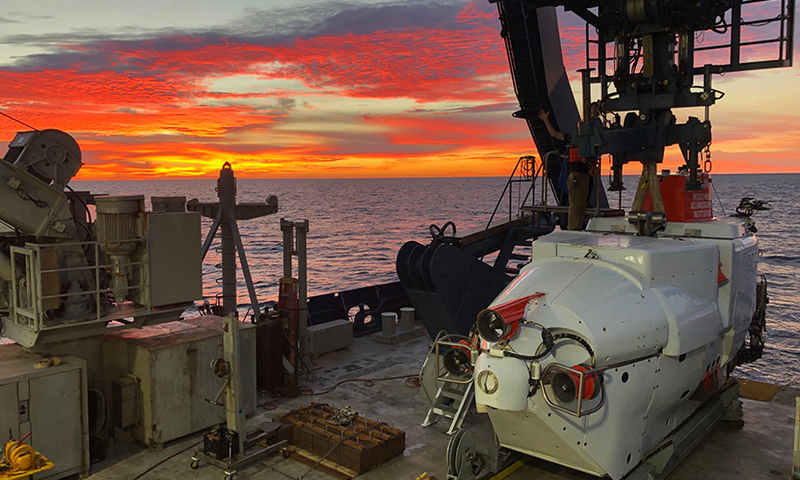 Prof. Baker is currently part of a team on the Alvin that is sampling new areas of the basin. In other words, areas nobody has ever studied before. The US National Science Foundation, the Sloan Foundation, and the US Department of Energy supported this research. “Expansive microbial metabolic versatility and biodiversity in dynamic Guaymas Basin hydrothermal sediments,” Nina Dombrowski, Andreas P. Teske, and Brett J. Baker. Nature Communications9, Article number: 4999 (2018). Published 27 November 2018. DOI: https://doi.org/10.1038/s41467-018-07418-0.